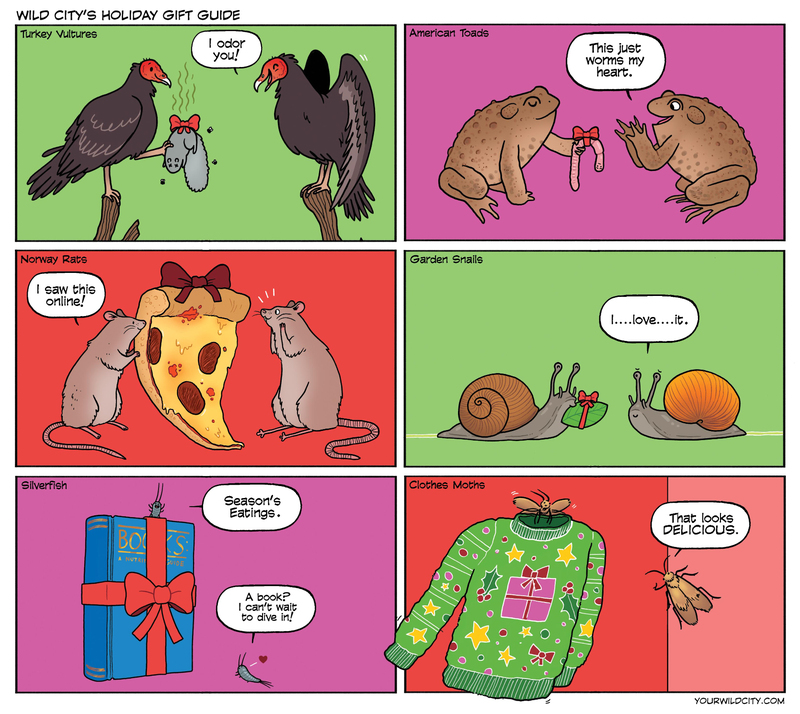 These creatures all got each other the perfect (gross) presents. If you’d like to gift yourself a nice general guide to northeast urban nature, I like Field Guide to Urban Wildlife by Julie Feinstein. Happy holidays and thanks for reading!